Today we would like to briefly showcase an example of how high-density polyethylene (HDPE) pipe provides real world solutions. We will be focusing on a group of companies called Grupo Secacao based in Guatemala. While we have not done business with this company, the company did solve some of their problems using HDPE pipe, which we specialize in. Grupo Secacao was in search of a solution to address the challenge of transporting water across Guatemala’s mountainous countryside. While steel pipe was considered the “go-to” solution, implementing it would be a process easier said than done and it would also cost a lot more. 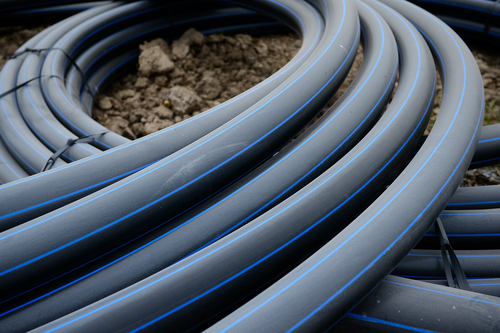 Instead, the company chose to largely stick with HDPE where it was possible thanks to its improved flexibility that would allow it work better, considering the terrain. Ultimately, Grupo Secacao achieved success with HDPE pipe. The pipe system has been able to handle the pressure, there were fewer welds required, and the installation costs were significantly reduced. Are you interested in learning more about HDPE pipe can help you with your project? Give us a call and we’ll answer your questions!